Paint n’ Play and Tournaments! With a little more free time now, and some great Christmas presents, I’m on my way to putting together models and painting for this time since August. It’s kind of a nice feeling to be excited about the hobby again. I got a quick game of fantasy in against a local player (JT) and his leadership manipulating daemons. My dice totally crapped out on me (my three cannons did one wound total in three turns) and I made some tactical mistakes that led to an absolute slaughter. I had to kill his two big baddies (Soul Grinder and Keeper), but alas I could not do the deed. He then leadership bombed me and used the flame cannon to wreck absolute havoc. It was a rude awakening after not playing a game since Rock Wars GT but it felt good to get the models back out (although some are in bad shape and need some serious gluing/magnetizing to get my army back to presentable condition). 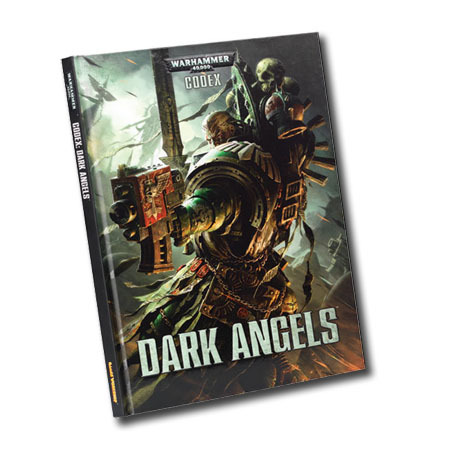 I haven’t been able to play much 40k either but the new edition intrigues me greatly. There’s just so much more diversity of armies on the tabletop. Tyranids are winning?! Daemons are winning?! It’s nice to not just see Grey Knights and Space Wolves tearing up the tournament scene. Diversity is a good thing, it makes each game interesting and prevents it from being stale like it was at the end of fifth edition. 1) Like several years ago, the Lair 2 40k group is doing a paint and play. I’ve already missed out on some installments, but the next 250 points are due early February. My goal is to have my command squad and a drop pod done and ready. If you and your gaming group are looking for a way to expand your membership, I’d really consider doing a paint and play. You start with a small force (500 points or 750 points) and then build it up over a half a year period. It allows people to scale up to “normal” sized games without feeling overwhelmed, and allows people to paint and assemble at a reasonable pace. Too often, newcomers to the hobby feel like putting together an army that you’d see at a tournament is too daunting. This gives them a chance to compartmentalize their hobby goals and make it much more likely that they’d be able to succeed. It’s the same reason why you see blogs the Independent Characters and Bad Dice doing hobby challenges. The other benefit too, in my opinion, is you have a way more tactically sound army at the end of a paint and play. You’re not just throwing together an 1850 list blind, you’ve spent months playing with a solid core portion of your army list and you understand the synergies of your army way better. In 7th ed, my first go at a Vampire Count list struggled quite a bit, but after doing a paint and play I fared much better. So again, a hybrid between what I already have and what I’m building to. It’s not optimized, I don’t think, but it has some toys I want to try out. The Predator and Aegis with Scouts in the back form some nice longer distance firepower. I was really pleased with the Aegis back in October when I took it to a tournament, and I think having it sit back along with a scout armed with the flakk launcher gives me sufficient flyer defense for a 1500 point level. The concept I’d like to migrate to is a tac squad base, but a couple of terminator squads that deep strike in and close the door on my opponent. Thanks to Azrael, this army has at least 4 scoring units and potentially 6 if I combat squad. Azrael is a little pricey for this level, but I now have leadership 10 for the whole army and my command squad got a whole lot more durable with his 4++. We’ll see how it goes, hopefully after this weekend I have some pictures of models to show you! Posted in Paint and Play League, Warhammer 40k and tagged 30k, dark angels, forgeworld, horus heresy, space marines, the game shoppe, warhammer 40k. Don’t worry, Tim. You probably won’t have to face my Slaanesh in tournaments this year. I think my Southlands list is more competitive after the changes I’m making.